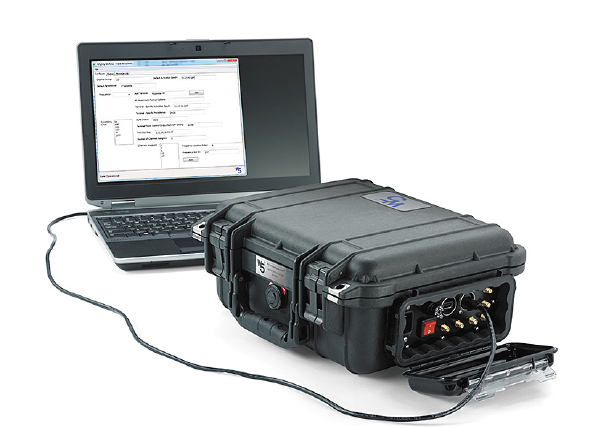 When paired with your RF payload, the MUOS Expander (Mighty MUOSe) eliminates coverage dead-zones and provides increase communications spot capacity. The Mighty MUOSe offers flexibiilty, rapid deployment and quick connection to communciation payloads in Unmanned Aerial Vehicles (UAVs) for fixed tower platforms. The portable and durable package includes the Radio Network Controller (RNC), Radio Base Station (RBS), Core Network (CN), Session Initiation Protocol (SIP) and Network Management functionality. 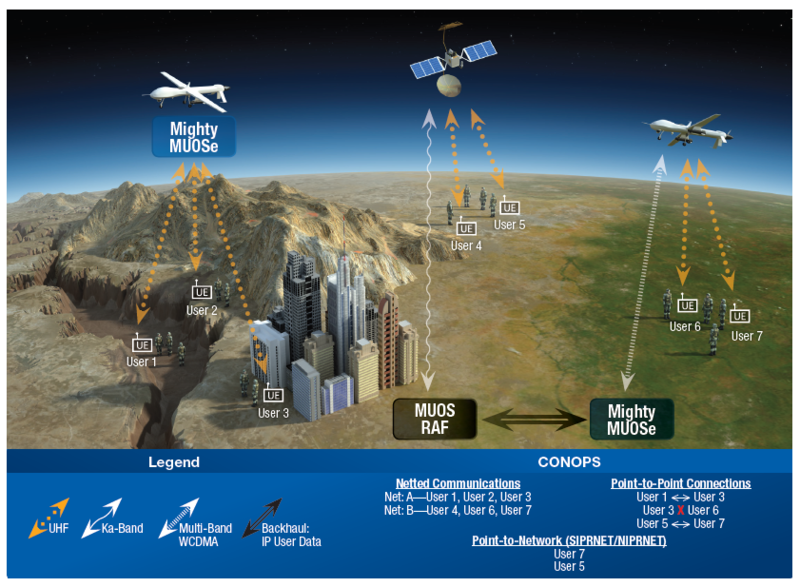 WCDMA payloads on fast-moving platforms such as satellites in Molniya orbits or on UAVs will likely be added to the battlefield to assure the warfighter of reliable, ubiquitous communications. The algorithms for handoffs, timing and Doppler correction suitable for near-Geosynchronous platforms will not be suitable for these fast movers. Power control algorithms may or may not be suitable. This project determines the necessary modifications to commercial and military WCDMA algorithms to support intra- and inter- platform handoffs, timing synchronization, power control, and Doppler correction. WCDMA repeater payloads being developed for deployment on unmanned aerial vehicles will provide enhanced beyond-line-of-sight coverage with guaranteed Quality of Service for the warfighter. To become a reality, these payloads will require deployable multiband base stations to serve as the ground infrastructure. The base station will be designed in this project, thereby enabling this network architecture and revolutionizing battlefield communications.